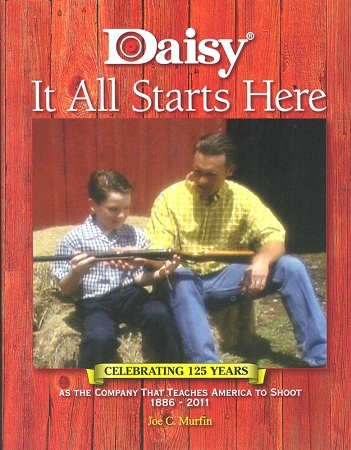 It's been 35 years since Daisy has published a book about the company. Those people who played a role in the company's continued success feel strongly that recent history should not go unrecorded. The book provides a glimpse into the corporate culture of Daisy, it's successes, legends and colorful anecdotes as well as its historical significance. In writing this book, the author, Joe Murfin, V.P. 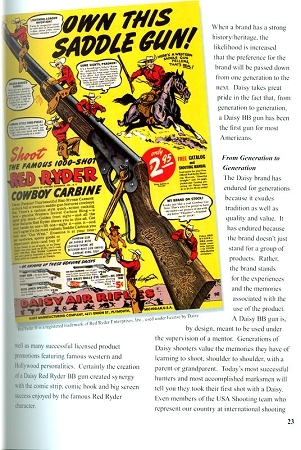 of Marketing for Daisy and chairman of the board of The Rogers Daisy Airgun Museum, researched company records and archives but also interviewed Daisy management, staff, retirees, collectors and friends whose stories are all reflected in the book. 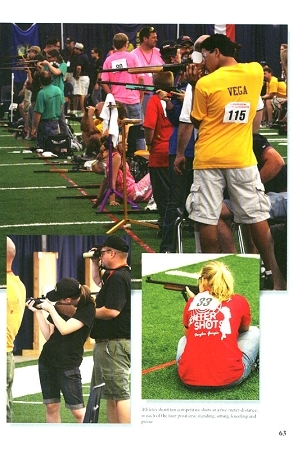 Have you ever wanted to know more about America's oldest and largest airgun manufacturer? 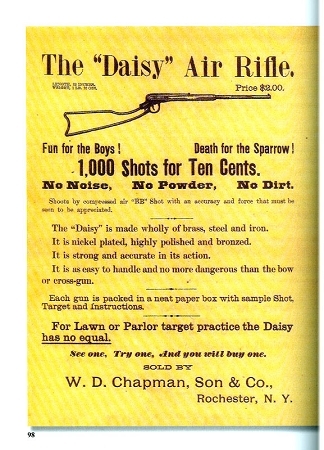 This book has many interesting facts about the Daisy Airgun manufacturing company. This book is very well written with many facts, pictures and tidbits of information. I started to read this book and couldn’t put down for an hour…..The pictures in the book are great reminders of days gone by, bringing to life the people and history…. This book is a great book to have, whether to curl up and read it or just to have it sitting on the coffee table as a conversation starter. From those of us who remember Ralphie from "A Christmas Story" and have fired untold thousands of BBs from Daisy air rifles and pistols, it's quite an entertaining read. It's also a nostalgic look back at a simpler time for shooters, and that's one of the unfortunate realizations I had looking through what is a great story of a product and company that have become icons to shooters.